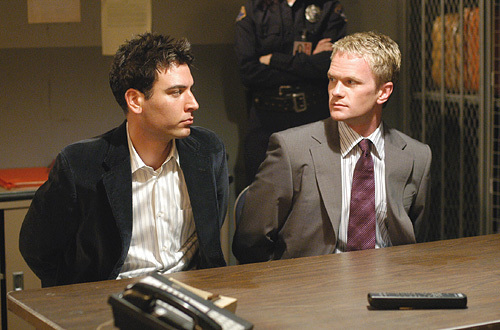 Fan Forum > TV Shows - Past > How I Met Your Mother > Best Brothers [ Barney/Ted ] #6 ~ "But the way I see it, we're a team. Without you, I'm just the dynamic uno." I'm glad you both agree. Barney always get them into trouble. but Ted always gets a good story out of it so he doesn't mind . Was Ted's story all that good? He just basically told the truth. Barney was the one telling stories. true, but that's what Ted said in that episode. Barney definitely made Ted do fun things. Thanks for the gif, Katie! Ted thinks pretty highly of himself, huh? well, Barney was gazing at him pretty strongly. And didn't Barney already say that Ted would choose him over Marshall? I meant in a romantic way. oh! I think so, Ted did say if they were both gay, he would choose Barney.